I get so excited when trying a new base makeup product, whether it is a primer, foundation, powder, or concealer. All these help create the base which can make you look and feel good and confident all day. And to get that right base, it is always so important to understand the type of your skin and your need. For example, I have combination skin which is prone to acne and have acne scars. Also, the dry areas on my face are more visible if I am not using the right products which are both hydrating and provides coverage, not to forget my aim is to get a look and feel which is natural and radiant. 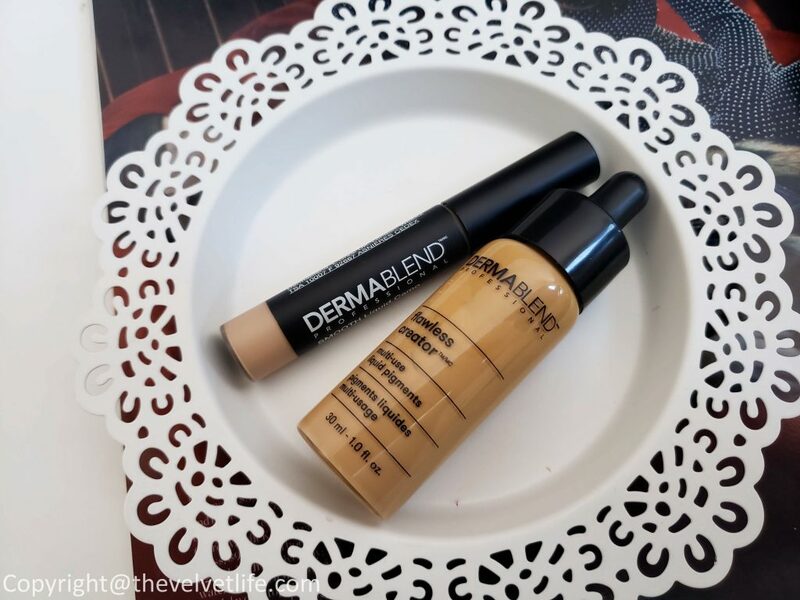 I have been using the Dermablend flawless creator™ foundation drops and smooth liquid camo concealer since last few weeks. Dermablend flawless creator™ foundation drops is described as blendable, buildable, and customizable. weightless foundation drops with 33% liquid makeup pigment. This lightweight foundation provides buildable and blendable coverage with a water-free, oil-free foundation formula. use alone or mix with your favorite skincare for a custom foundation finish. I have been so amazed at this little bottle of foundation, it is super lightweight and at the same time the coverage is amazing. I use two drops of this foundation for a medium coverage, the liquid foundation blends in nicely and gives a nice natural dewy finish. To get a full coverage, I add 1-2 drops more and then blend, blend, and blend. It works pretty well when 1-2 drops are mixed with the day moisturizer or day cream. It applies well with fingers, buffing brush, or a beauty sponge, make sure to shake the bottle well before dispensing the drops of the foundation. The staying power is really nice, stays on for over 8-9 hours for which I have tested it. It does not feel or looks heavy or cakey, the finish does not look like a mask. Another good thing is the shade range. It did not break me out. 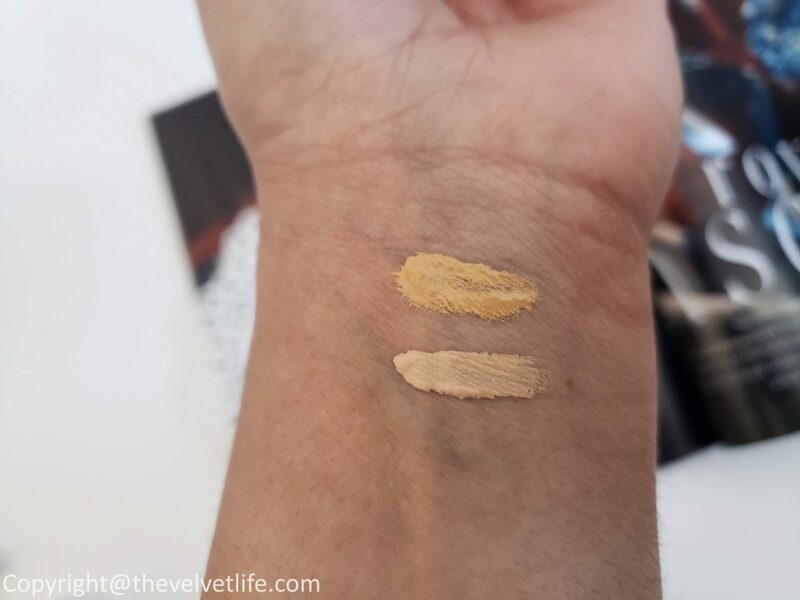 The shade 43W matches nicely to my medium skin tone with golden undertones. 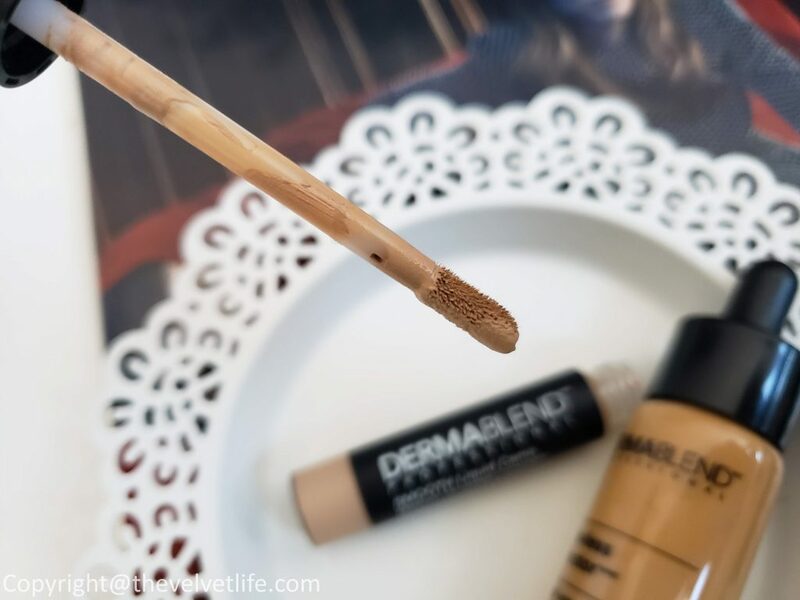 Dermablend smooth liquid camo concealer is described as an all-purpose, flexible, smoothing liquid concealer that covers, corrects and perfects. The formula is lightweight, hydrating, and very creamy. I feel it does not blends nicely into the skin but I do feel a little cakey after sometime, maybe due to my skin which behaves and is more on the drier side during the winters. 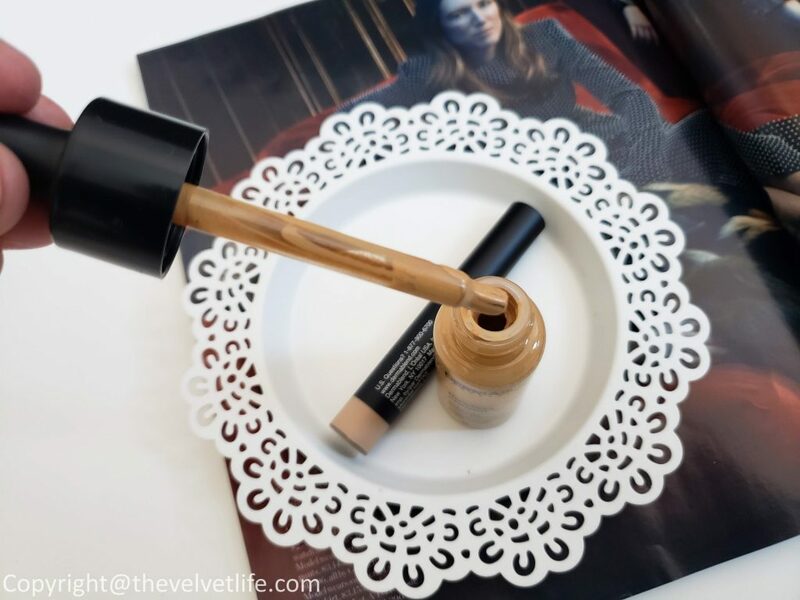 I will give this concealer a try when the weather changes and will share with you guys on my Instagram. Dermablend.ca and BeautyBoutique by Shoppers Drug Mart.